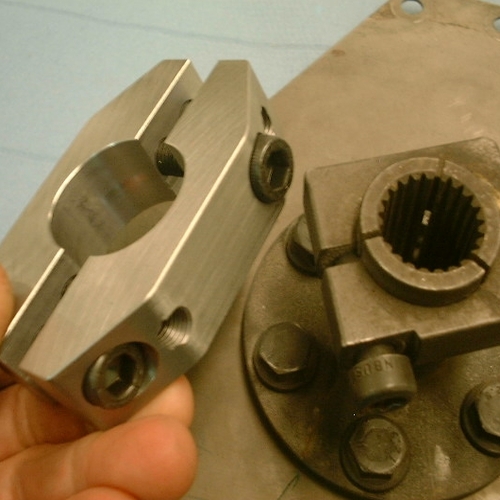 Replacement for the inferior flexplate clamp that links the transaxle. 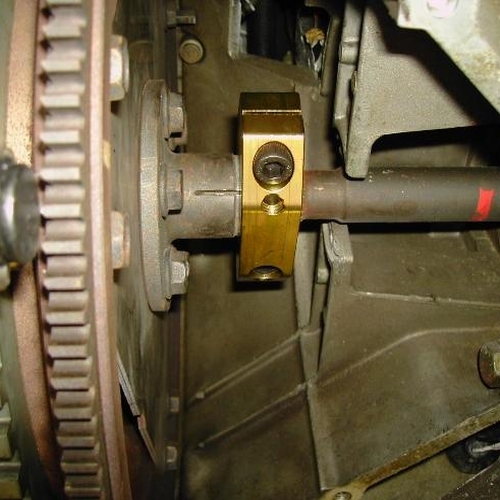 The transaxle tends to slide through the clamp resulting in permanent stress on the flexplate. 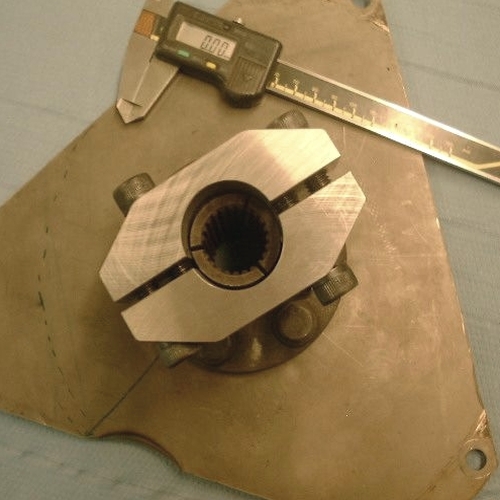 This permanent pressure pushes the crank towards the front of the car, putting so much pressure on the center (thrust) bearing that it wears quickly and causes the crank to move beyond its limits. This again causes serious damage to the lower crankcase and almost certainly results in an engine failure beyond repair. Replace the clamp by this superior design and prevent this phenomena from happening to your 928 (automatic only, manuals seem not to suffer from this problem). You never have to release the tension from the flexplate again. This clamp will hold the axle firmly, the way is was designed at Porsche. The nice thing of this design is that it's 4x stronger than the original, and it can be installed and removed easily in a DIY environment. No need to remove torque tube ! Installing takes a few hours max. "Installing the new superior flexplate clamp"